Students will explore the elements of music including pitch, timbre, texture, dynamics and structure. Composing using a graphic score students will be learning to recognise how different experimental sounds can be combined and used expressively. Inspired by the track penned by Wonder/McCartney, students will develop their Keyboard/piano skills as well as composing a solo piece in ternary form. Originating from the American Civil War, blues music is as influential as ever. Students will compose their own melody and lyrics as well as learning to improvise using the keyboard, guitar, drums and voice. Structuring a song is one of the fundamental aspects of composition. Students will explore some different world genres and compose using the pentatonic scale. Students will compose the musical short score after deepening their understanding of TV and Film music. They will develop compositional skills through using various musical devices and music software. 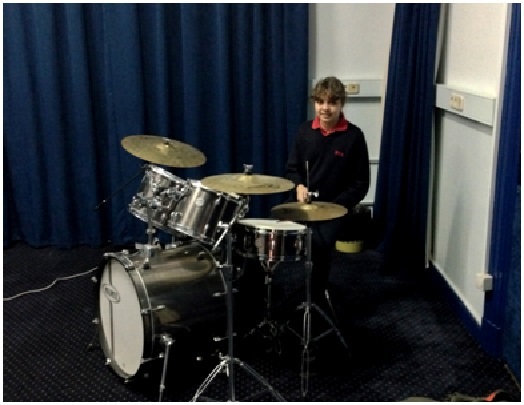 Students will perform and compose in small ensembles using piano, bass, electric guitar, voice and the drums. They will be able to perform two pieces of music, one from notation and one from memory. Melody Makers - Performing - Perform as part of a group. Recreate a convincing performance of a dance or song for a class concert. Reggae, Brit pop, rock and folk music will be the areas of focus and students will learn to play the guitar in the style of these three genres. Students will also gain an understanding of Jamaican, Irish and American cultures as well as world events that shaped the music from within these styles. A GCSE unit of work that develops arranging and remixing skills. After School Activities: The Oliver Musical Production Club every Sunday at 3.15pm. Thursday lunch time 12.30pm in Aboul El Ela Campus - Year 5 & 6 Choir Rehearsals.